Black Seed has just released its newest addition to the Monster Weapon series—Hoi Ba Long—on its web shop. The detail on this figure is rather astounding from the richly sculpted dragon’s head and legs to the ornate temple-style carriage. 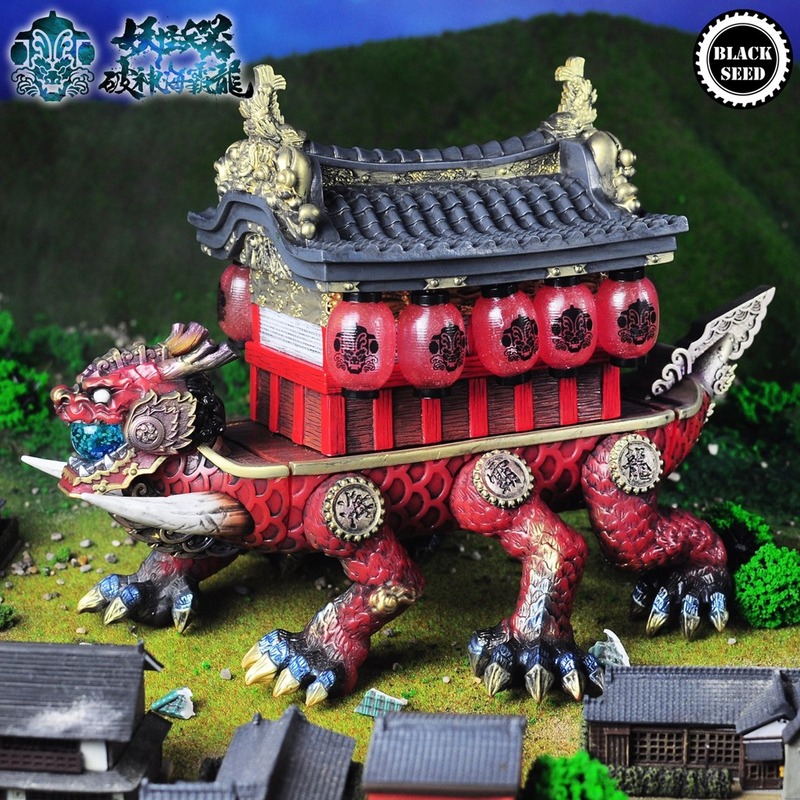 Previously released at Asian conventions including Beijing Toy Show and Taipei Toy Festival, the elaborate dragon caravan figure is available in both the OG red and Emperor Temple editions (blue) for $300 each. Each features glow-in-the dark eyes (green), dragon ball (green) and lanterns (red). At conventions, Hoi Ba Long has been shown in a deluxe configuration with three additional headless carriages — similar to the tenth floor Yu Shou Long editions. No word yet on the release of the full caravan version. Give Me Plastic has been quietly creating top-notch, stylish resins since they dropped Gambino back in the Summer. 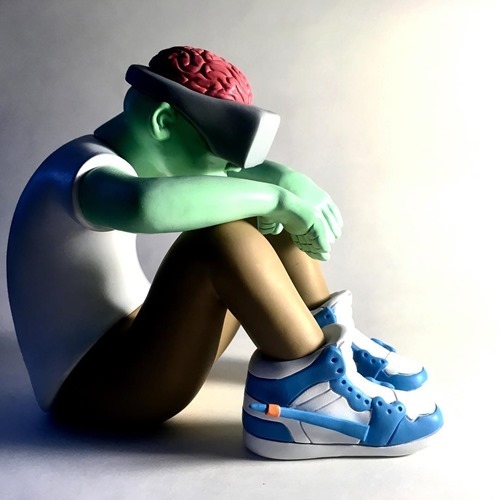 The cool keeps flowing with the upcoming Mind Control—perhaps the best so far—bringing us a VR-entranced hypebeast. Everything works here, from the fun crossover cerebral concept to the contrasting design with the detailed kicks and exposed brain against the smooth body. Interestingly, it looks like the left arm may be articulated or posable. Mind Control will be available in a limited 48-hr drop this Wednesday (12.5) at 9 AM PST from the Give Me Plastic Shop. Collectors will have the choice of three colorways—which going by preview shots may vary primarily in terms of the kicks. December is here and with it snow, holiday cheer and for toy collectors, Vinyl Artist Gacha Series 17 from Medicom Toy. S17 features six individual artist mini series including Space Racers Mimi by Kaijin. His longstanding Space Racers line offers the combination of futuristic cool + charming cute that is the artist’s calling card. The blind gacha will bring Mimi in five colors — Pink, Red, Green, Yellow and Blue. If you don’t happen to live in Japan where gashaphon machines are commonplace, you’ll likely find VAG 17 at select US retailers including myplasticheart. 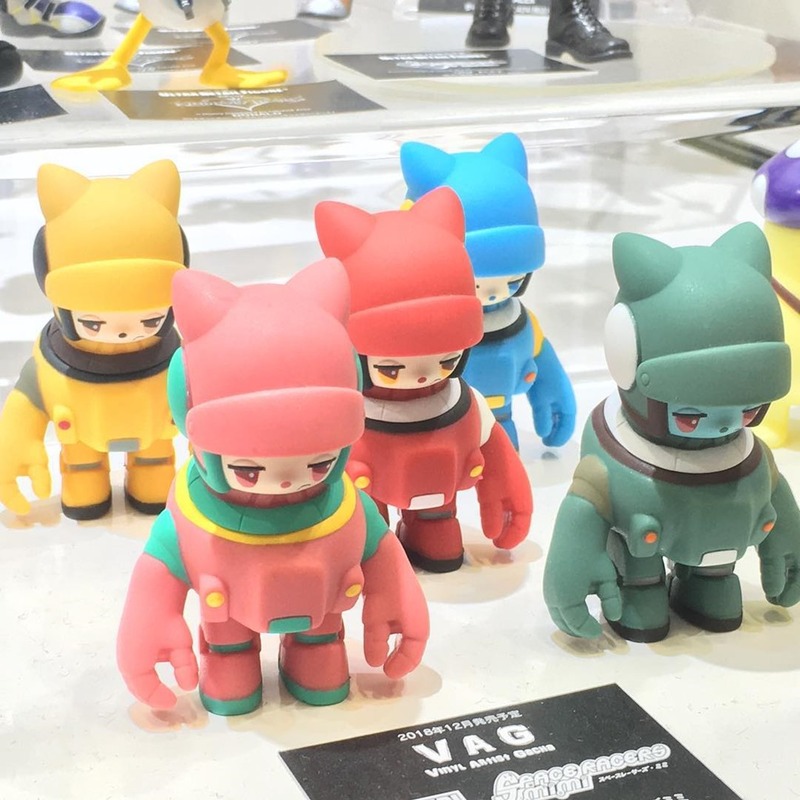 Japanese artist Yamazaru has released several editions of their Bolton resin mini figure on their web shop for ¥3500 (~$31). 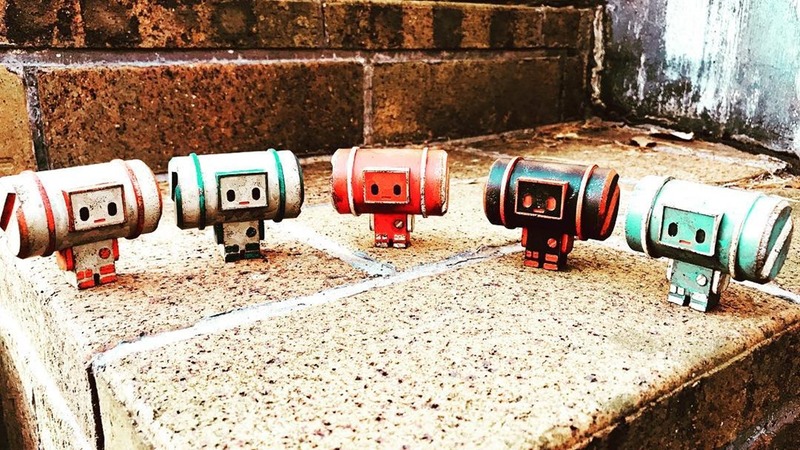 The adorable, industrial Bolton features a teeny, tiny body with an oversized cylindrical head (bolt?). These are nicely executed and finished with a painted weathering effect. Sometimes the distance between an intriguing overseas figure on Instagram and your shelf can be enormous, but in this case it’s just a few clicks away.